Here we go again (actually Shawn is the main Dumb Guy behind this) with a five-part free mini-course based on Shawn’s wonderful book The Story Grid, about the craft of story editing. Click here to stream all five parts. Each video is about ten-twelve minutes long. Trust me, they are definitely binge-worthy. Okay. What is this mini-course exactly? 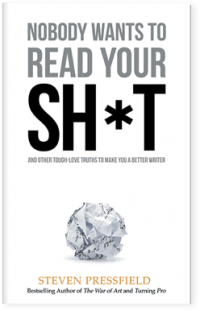 Well, when Shawn brought out The Story Grid a few months ago, he was very aware that the book was, shall we say, “challenging.” He had poured twenty-five years of experience as a Big Five Publishing editor into the book. It was the epic of Gilgamesh. Next, Shawn phoned Jeff Simon, our resident genius in film and video, and together (along with Jeff’s film-and-video partner Matt Andrews) they went into the studio and shot the videos. They even got me to chip in a few thoughts. When the series was finished, Shawn sent all five videos for free to every person who had bought the book of The Story Grid (with the exception of those who bought the book from the Black Irish online store as a “guest.” See the end of this post for the technical explanation.) Shawn sent the videos as a surprise. No one knew they were coming. Response was so enthusiastic that Shawn decided to go one better. He released the videos, still for free, to all his followers on his own site, www.storygrid.com. That went over great too. So now we’re “going wide” to all our friends who follow this blog or anybody who just happened to log on by mistake. The mini-course is really terrific. It’s just Shawn sitting in a chair against a white backdrop, explaining what the Story Grid is and how you, the writer, can use it to find out if your story is working and, if it isn’t, how to fix it. The mini-course is a standalone entity. Even if you haven’t read The Story Grid or any of Shawn’s posts on his blog, you’ll get it. You’ll understand. You can start using the principles right away. One of the strange phenomena we’ve discovered blogging and publishing on the web is that it’s just as hard to give stuff away as to sell it. In fact we probably should be selling this mini-course. But we’re dumb and here it is for free. We hope you enjoy it and we hope you find it helpful. Thanks for being “dumb” over there at Black Irish. We are in your debt. This is a terrific video series – I’ve watched it twice already. But don’t miss out on the book – it’s pure gold! And the videos are great! I myself bought the book and feel like I got a decent hold on the material, but the videos are an awesome bird’s eye view of it all and stand on their own even without the book. Great work, BI team! I in no way view you and Shawn being “dumb” – I see it clearly as “doing something” to HELP others follow their DREAMS. For me, being awarded “monetary” is not the label for SUCCESS. 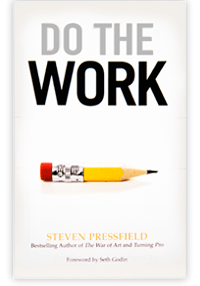 The label of and for SUCCESS in “my book” is Doing Something for Humanity. think it’s ingenious. If you were to put a montetized program together, the phenomenal free content is the gateway to riches…those of us who are currently blessed to this “preview gateway” are the beta testers…you’re sitting on a goldmine. 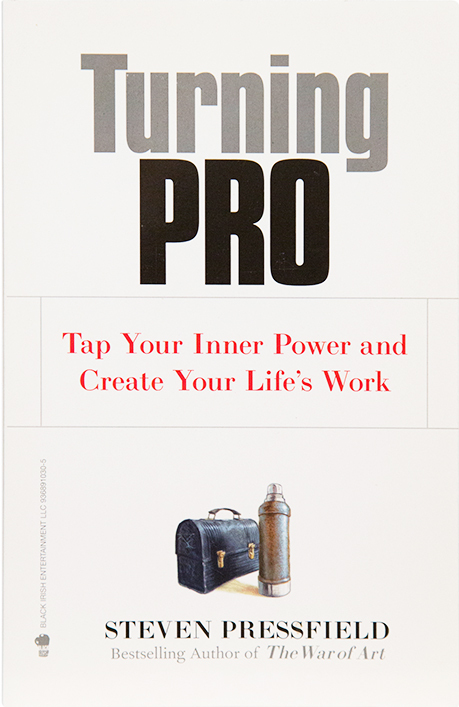 The War of Art & Turning Pro are kinda like my ‘Life Grid’. Will binge watch Story Grid today. Last week you wrote you’d never do a TED. Don’t blame you, and if I understand–it has nothing with doing the content. It is a week away from work, being distracted by clingers, neophytes, and maybe too many people not on a mission. I hate that 8-12 minutes is our new ‘collective attention span’, but we recognized this and kept all TEDx Tacoma speakers to 10 minutes. Some hated it…but we had more overall views than any previous year. Thanks again to Black Irish Books. 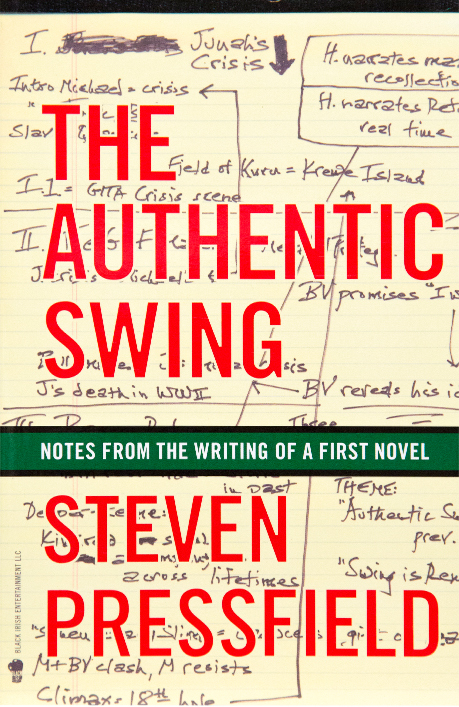 The lessons here are certainly more than how to write a book. These are my favorite emails on Wednesday and Friday. (In fact I’m kinda Jonesing for the days when you were blogging on Mondays as well about your experience with “The Lion’s Gate.”) I’m a junkie. I think what you have done is a flash of marketing brilliance. You have gained traction, credibility and gravitas for Black Irish Books, all of the Pressfield books, the on-line offerings and the Story Grid. That influence is amplified by the synergy between each of those products of your brilliance to a point far beyond the value you could ever hope to gain from ‘monetising’. Sometimes ‘fast bucks’ are empty bucks and those who flog their empty products get found out and disappear. 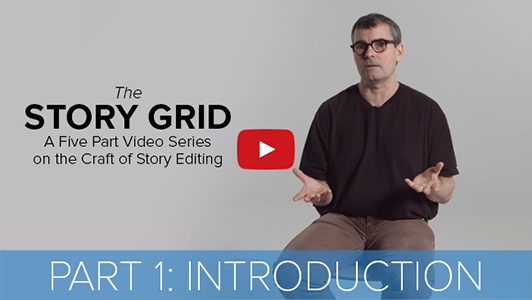 The Story Grid video mini-course is clear, educational and practical. Thanks for sharing it – and everything else. Binge watched it like Breaking Bad. Great stuff. It is fun to watch & listen as much as read the blogs.